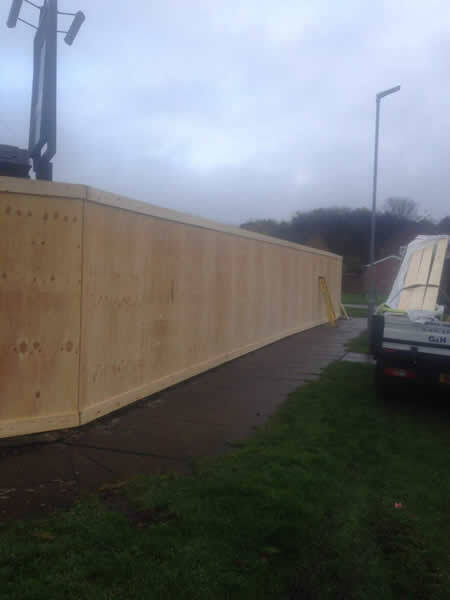 Hoarding are a cost effective way of keeping sites safe from trespassers and defining the boundaries on a temporary basis. 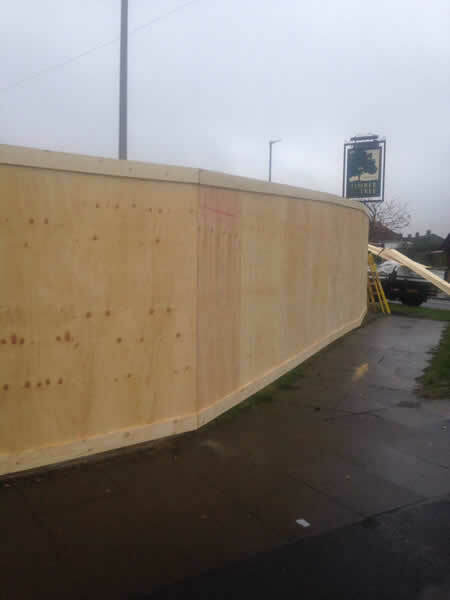 Professionally installed hoardings are an ideal solution for you to create a safe working environment around your site. 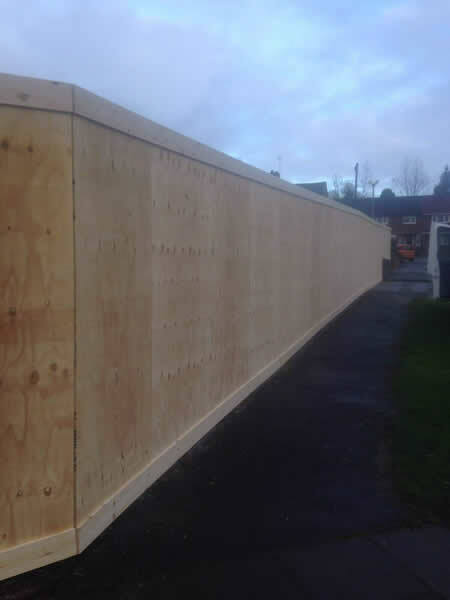 We offer different types of construction site hoardings including Timber and Steel hoardings that we can install around your worksite for the complete safety and security of site workers, equipment and the general public who pass by. 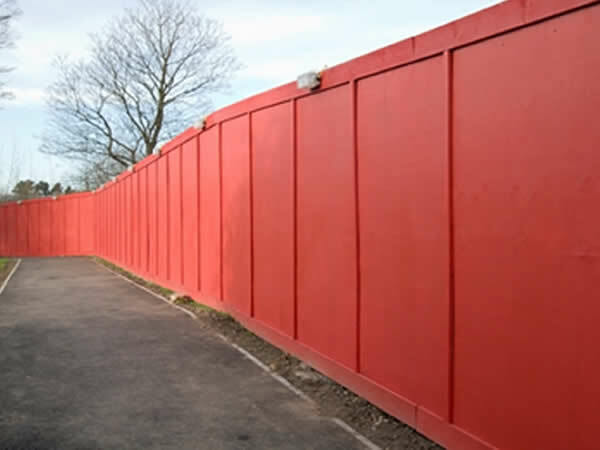 Our timber tailor made hoardings are unique to your site in terms of boundary dimensions including heights and also colour, So to keep a professional appearance and promote corporate identities, we can paint your timber hoarding in any colour you choose. 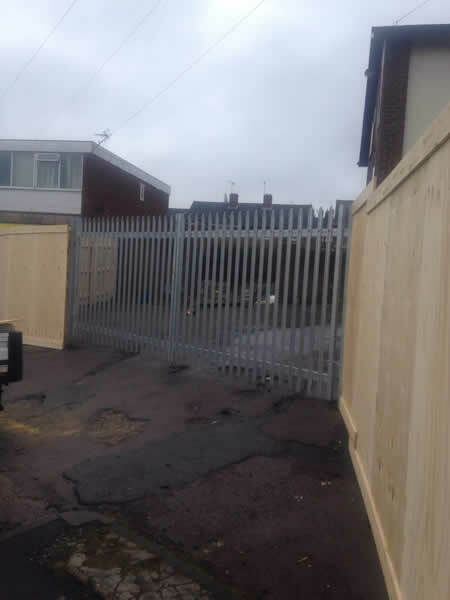 Our timber hoardings can easily accommodate gates for pedestrians and vehicles, and come with in-ground and free-standing options. 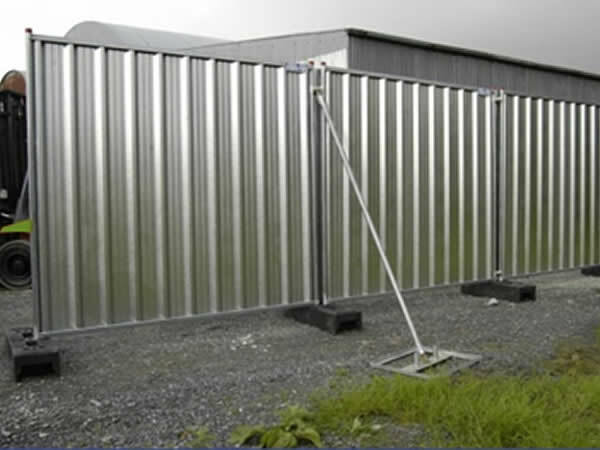 Another option to protect your site is the installation of lightweight, strong and versatile free standing steel hoarding. 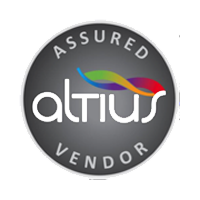 This is an ideal, cost-effective solution for securing perimeters and screening areas at construction sites, vacant properties, outdoor events and more. 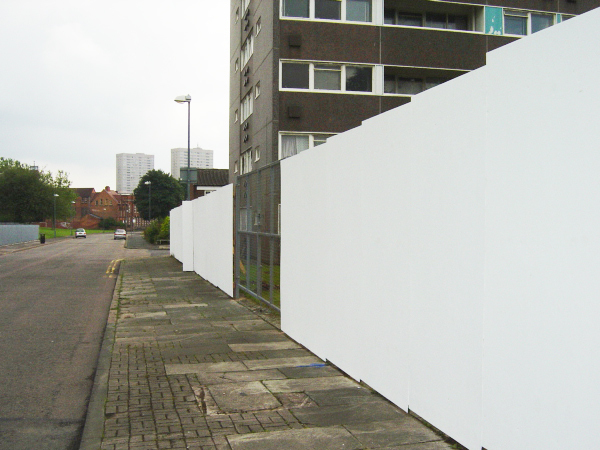 Free standing steel hoardings are relatively easy to install and uninstall and ideal for both short term and long term applications. 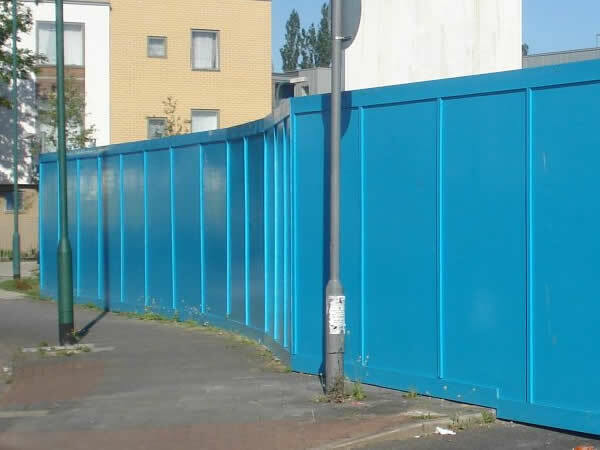 Our steel hoarding is also compatible with all our temporary fence products including our mesh fencing, and is available in a wide range of colours. 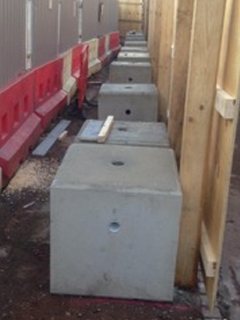 We can also supply suitable pedestrian and vehicle gates for use with this solution. 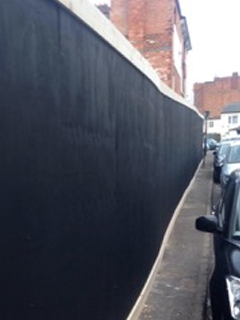 For more information on any of our types of SITE HOARDINGS, Welded mesh fencing, palisade fencing, railings, timber fencing, gates, games area fencing and shelters, covering the Birmingham, West Midlands and the UK, call G and H Fencing for a competitive quotation on 01789 209191, Email us using ghfencing@btconnect.com or complete our simple enquiry form.